Nevada, also known as "The Silver State" has been, and continues to be, a prolific producer of silver. 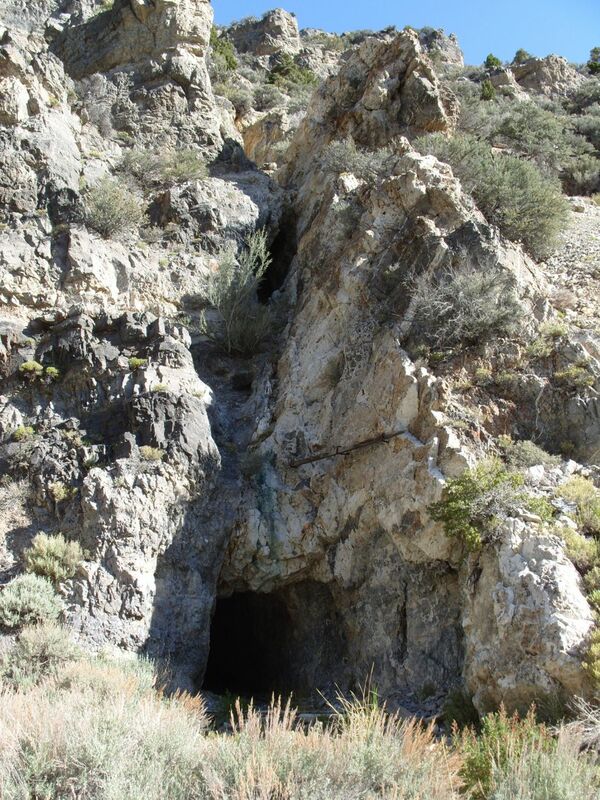 The historic Bay State Silver Mine is located in the Newark Mining District, 15km east of the town of Eureka in central Nevada. Eureka is on US Highway 50 and is the administrative centre for Eureka County which hosts a number of major mining operations. The project is accessed from the sealed Newark Valley Road which runs within 1,500m of the property boundary. 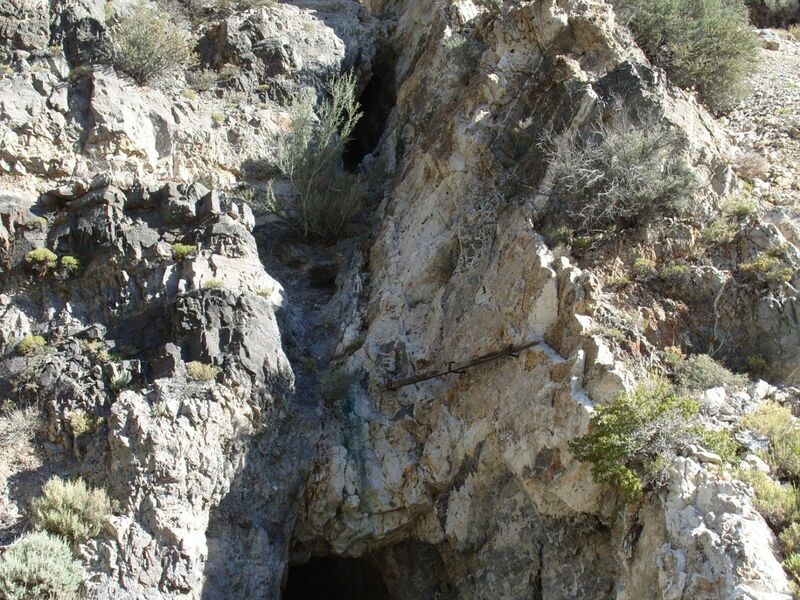 Please see the video below for a walk-through along the Bay State Silver Mine Chihuahua Adit and associated mine workings. 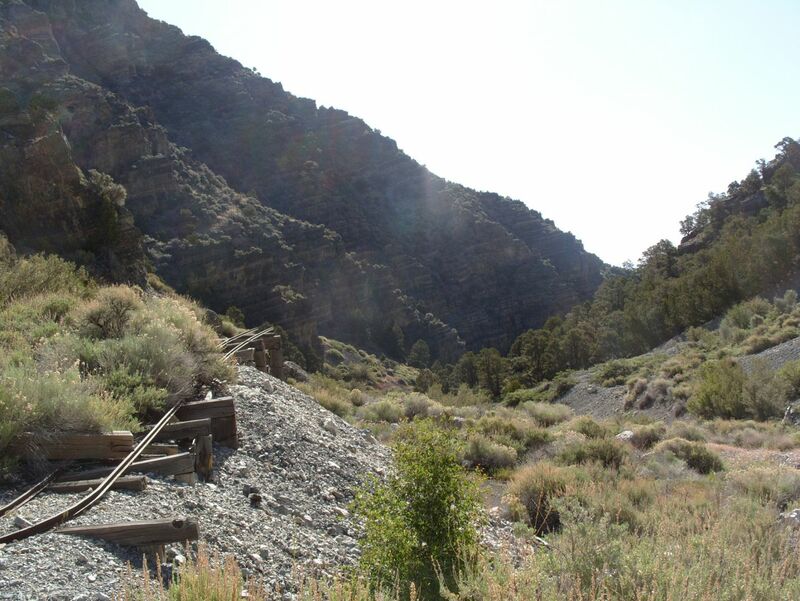 The historical mine workings of the Bay State Silver Mine are located in an east-west striking canyon (known as Mining Canyon) cutting though the eastern slopes of the Diamond Range. 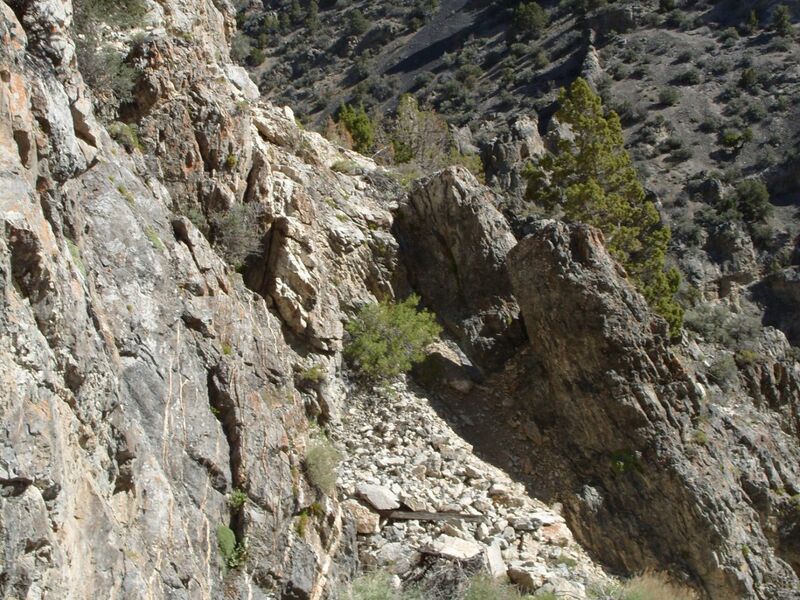 The workings occur within limestones and dolomites of the Devonian Nevada Formation. The Bay State Patents were originally located in 1863 and patented in 1874. 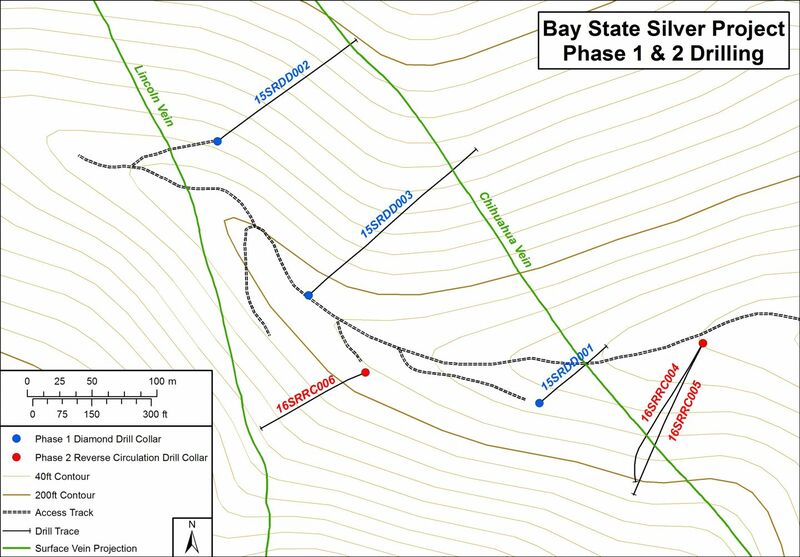 The mine was worked for silver in the 1870s by the Bay State Silver Mining Company and then again in the 1900s by the Newark Silver Mining Company. 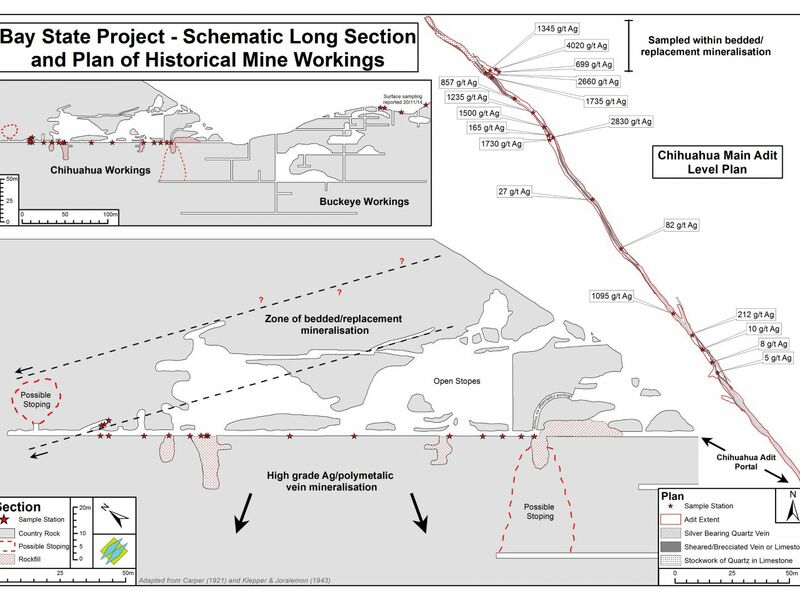 Mining focused on two main NW-SE striking veins sets. The largest workings are on the Chihuahua and Buckeye State Patents which together cover a strike length of some 900m and extend north and south of Mining Canyon along the Chihuahua vein system. 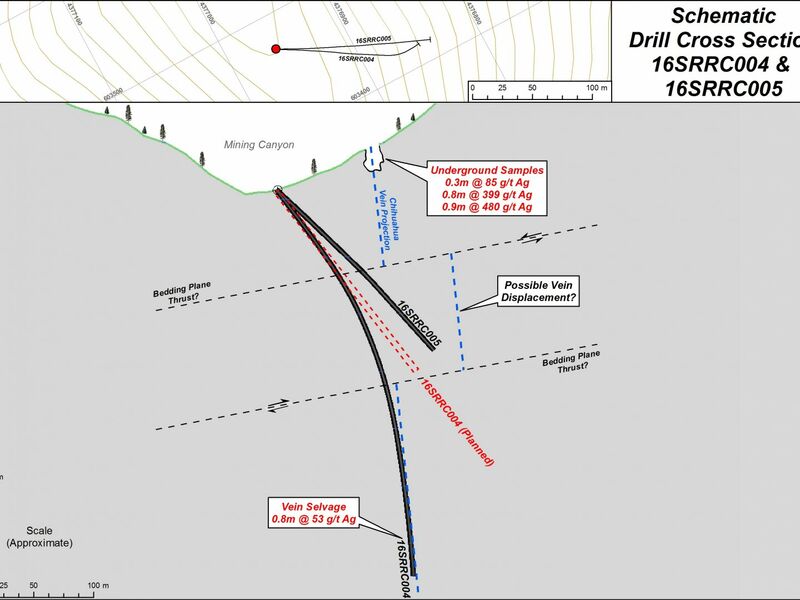 Two shafts were sunk on the border between these two patents, near the floor of the canyon and are reported to extend to a depth of 120m with production mainly from extensive stopes above the 60m level both north and south of Mining Canyon. 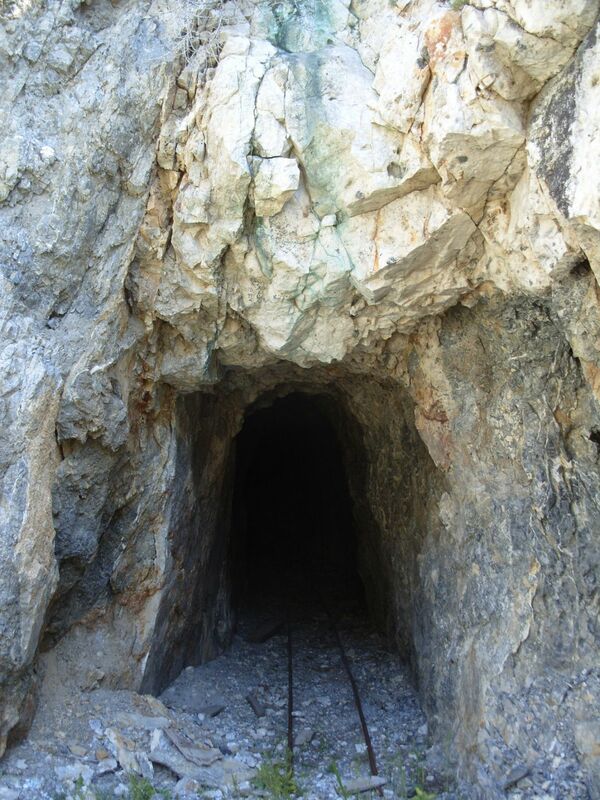 In 1932 the project was bought out in a mortgagee sale and in 1942 was leased and later purchased by the now deceased relatives of the current owners after they discovered tungsten mineralisation (coarse grained scheelite) in the flat lying stockworks of the upper Chihuahua and Lincoln mine workings. In the period 1942-1944, 1,493 tonnes of high grade tungsten ore was sold to the government for wartime use but mining ceased in 1944 following the cancellation of wartime sales contracts. 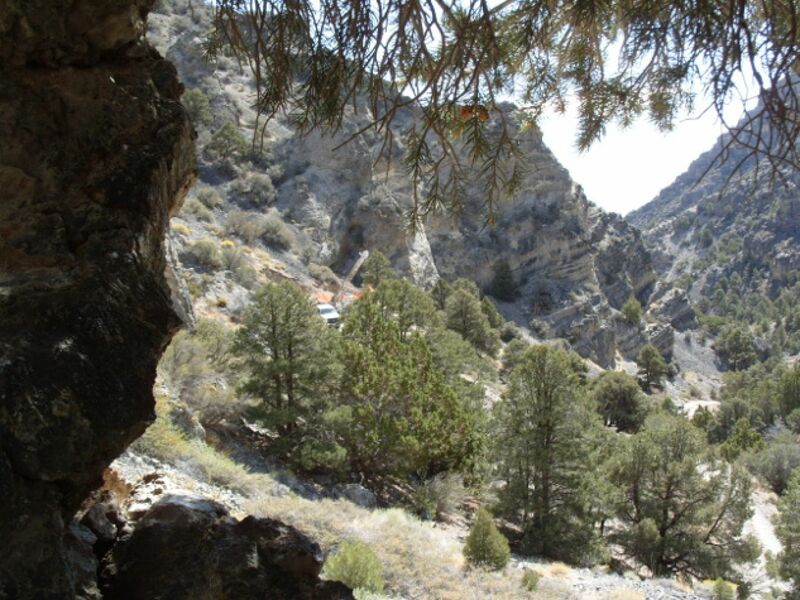 A further 9,000 tonnes of hand-picked tungsten ore was shipped in 1951 and there are reports of the Mining Canyon gravels having been worked for alluvial deposits of tungsten. In the 1970s and 1980s over 20,000 tonnes of surface waste was removed for silver extraction. 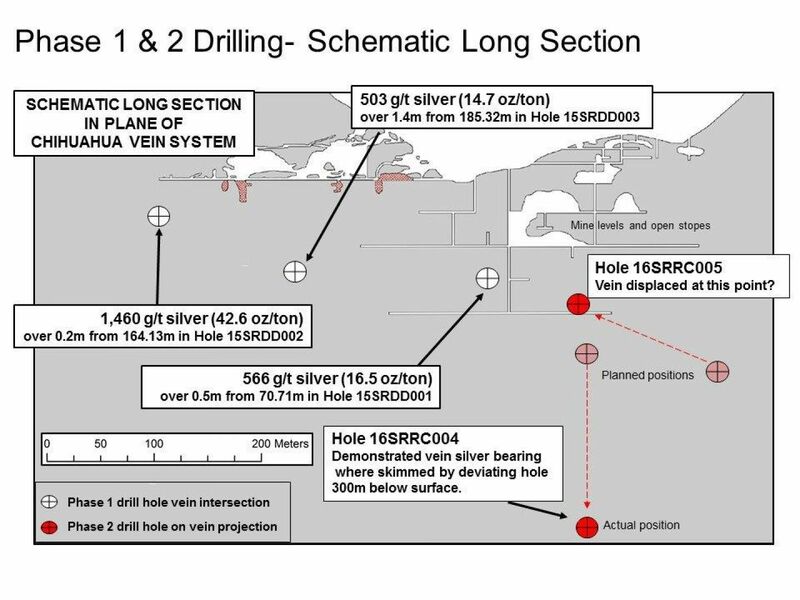 A contemporary surface plan shows a number of drill hole locations but it is not clear if these were all drilled. 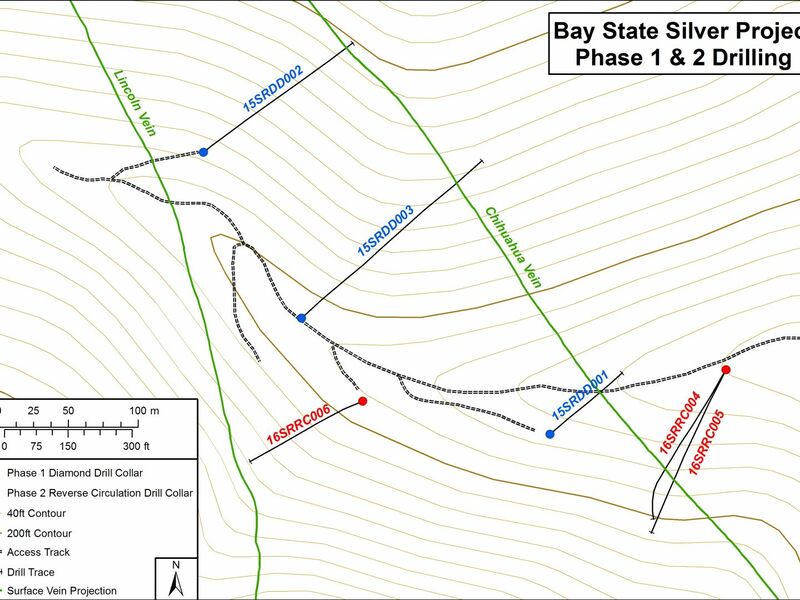 Records of silver production from the Bay State Mine are poor but the few existing records show a mined grade of over 20 ounces per ton of silver. It is unlikely a grade below that could have been commercially worked at the time, as evidenced by the assays of the Company's grab samples from material left behind and the re-processing of large tonnages of waste material in the 1970s and 80s. 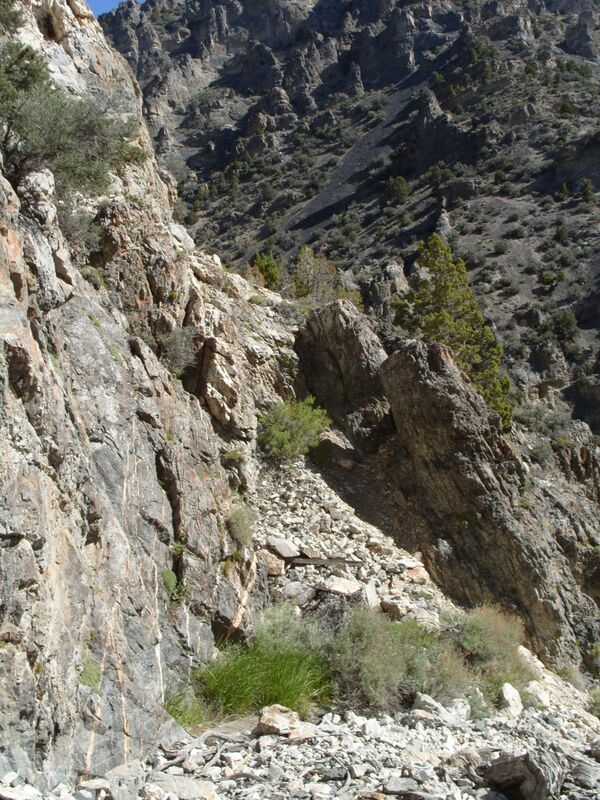 A 250m long adit ("the Chihuahua Adit") was driven north on the Chihuahua vein from the canyon floor. 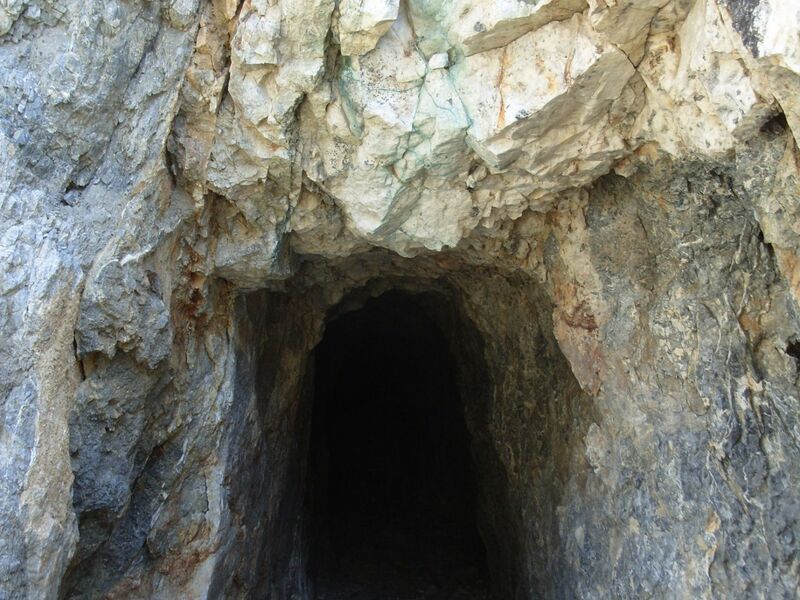 The vein is described as a well-defined fissure-type quartz-calcite vein varying between 0.3 and 4.6m wide which splits periodically into stockworks up to 15m wide. The vein was mined above the adit for most of its length until workings hit a zone of stockwork veining, party replacing bedding in the host limestone which dips at 22 degrees to the north. A similar stockwork zone was found at the end of the Chihuahua Adit where it was reported to be 6m thick. Four winzes with small stopes extend 12-18m below the Chihuahua Adit. 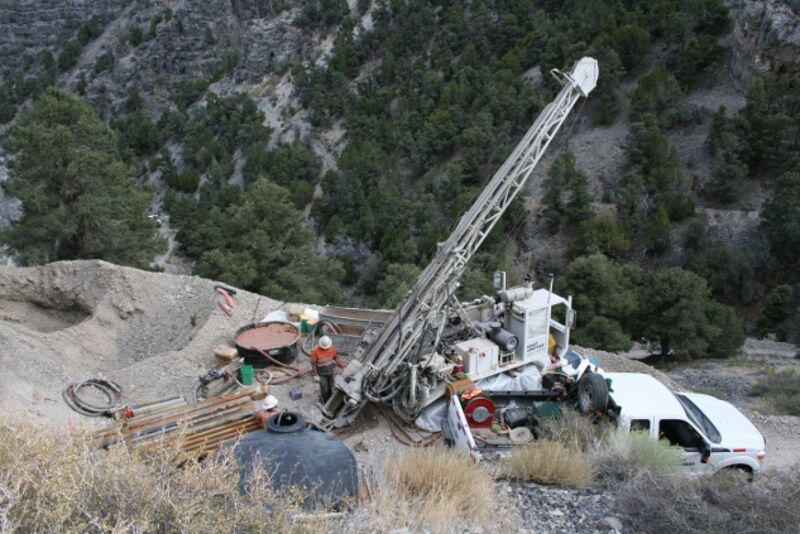 Sunrise Resources has carried out a number of surface sampling programmes and gained access beyond a major rock fall on the Chihuahua Adit to enable sampling of the Chihuahua Vein System underground. 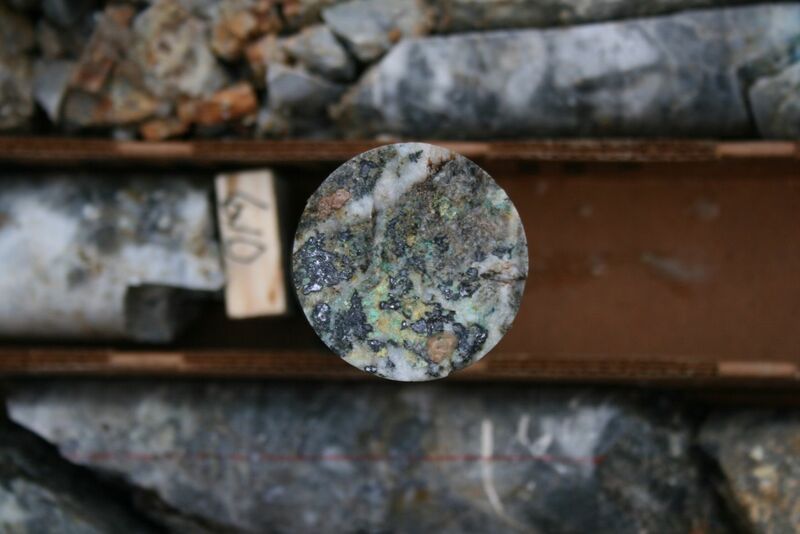 Bonanza silver values were obtained from both the vein system and the bedded replacement mineralisation where it intersects the end of the Chihuahua Adit. 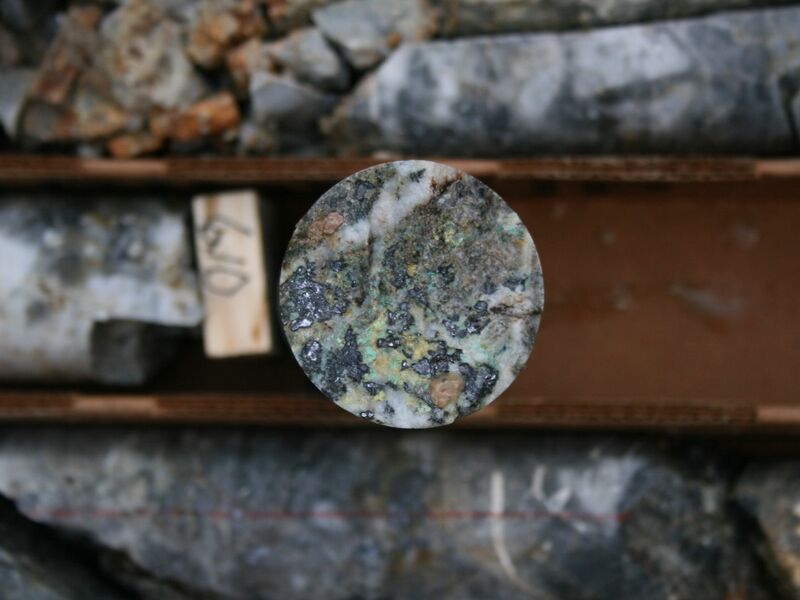 Samples graded up to 4kg/tonne silver (4,020g/t or 0.4% or 117oz/t) within replacement style mineralisation at end of adit over 61cm (2ft). 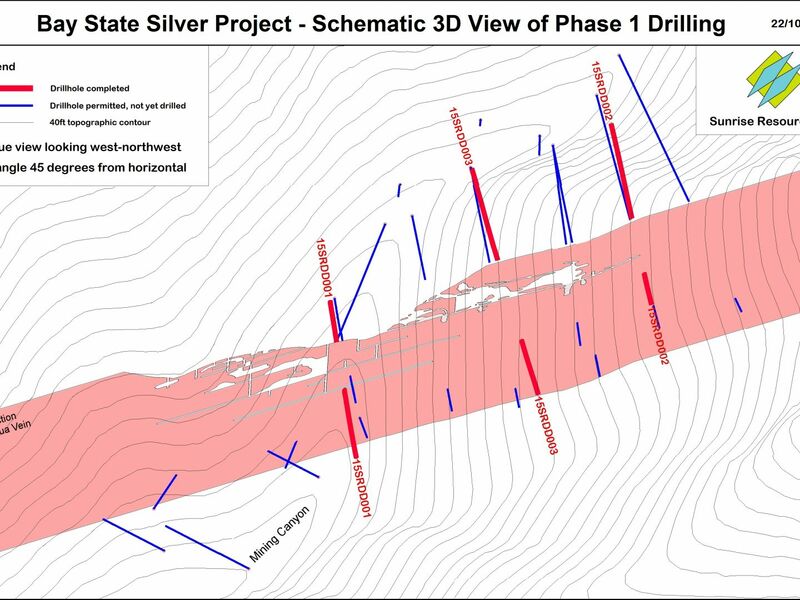 The average of 18 samples along 230m strike length to end of adit was over over 1kg/tonne silver (1,123g/t or 33oz/t along 230m strike length to end of adit. Base metals are enriched up to 10% combined lead-zinc-copper. 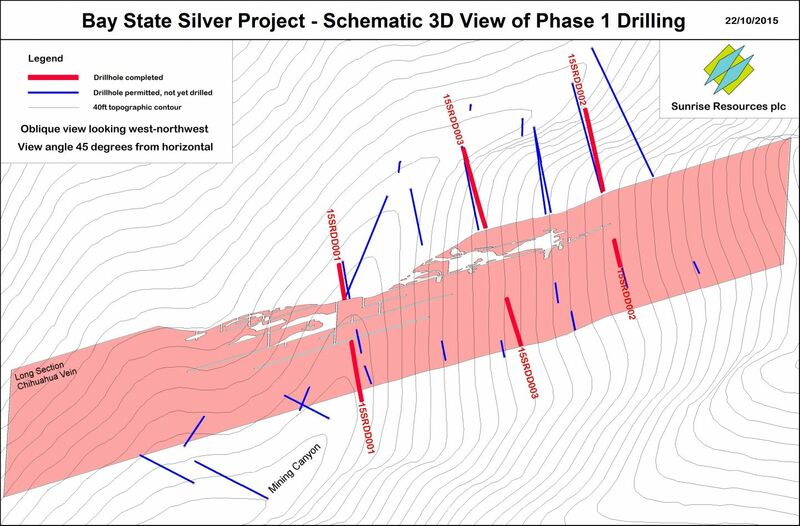 The Chihuahua Vein System is now known to carry high-grade silver over sampling length of 470m. 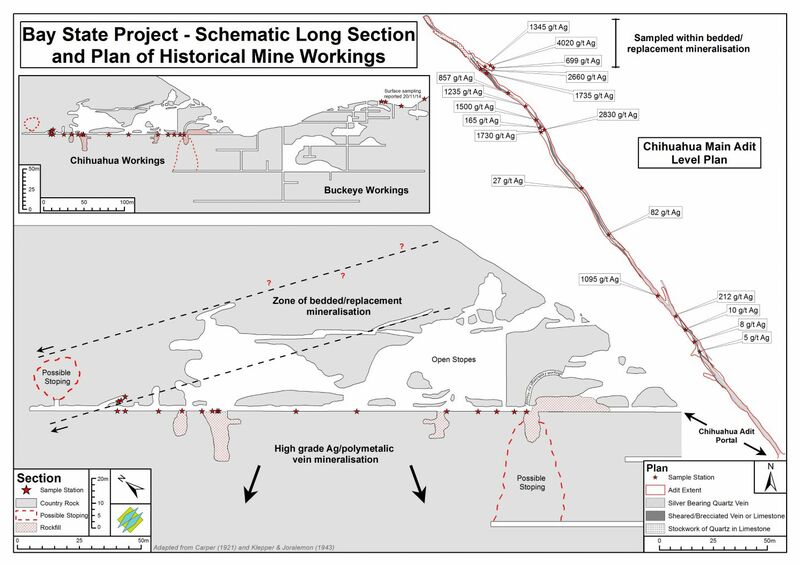 The Lincoln Patent, 200m to the west, covers a 2.6m wide vein system comprising veins and stockwork mineralisation which has been worked and explored by three short adits with some limited production of silver having taken place from stopes and open workings. A random composite grab sample of quartz-veined material from the dumps on the Lincoln vein system taken by the Company in June 2015 assayed 300 ppm silver (8.7 troy ounces/ton). 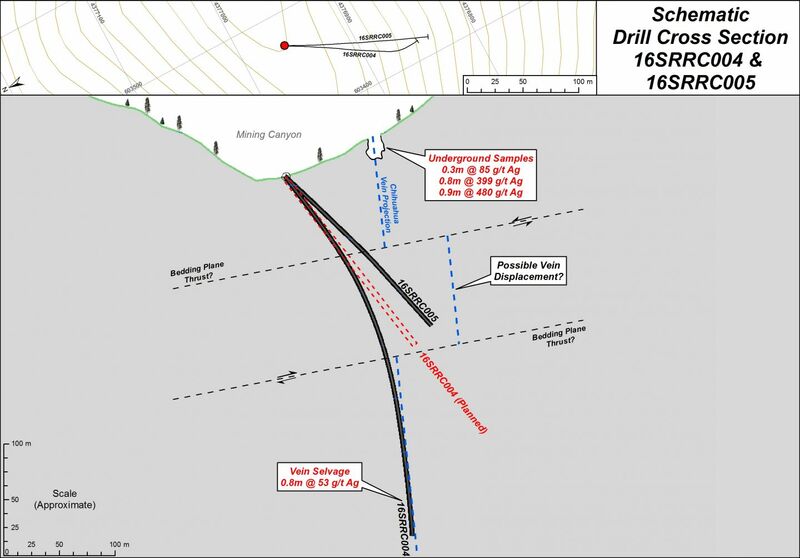 The Company has permitted 17 drill sites and has drilled five holes to date targeting the northern and central sections of the Chihuahua Vein System. These three drill holes were drilled from the west side of the vein system. 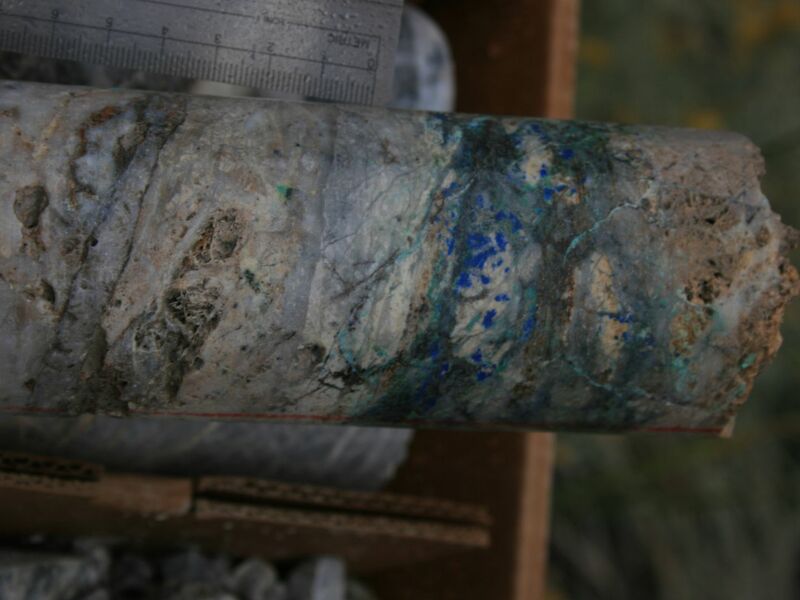 The silver bearing vein zones are characterised by silicification, spotty sulphide mineralisation (galena and tetrahedrite) and staining with secondary copper minerals. 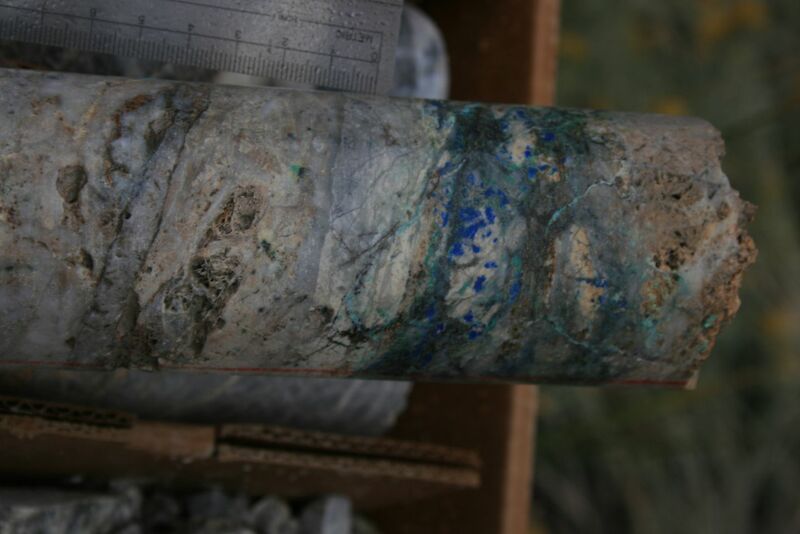 A fourth hole has demonstrated continuity of the Chihuahua Vein System at 300m below the surface but did not penetrate the vein sufficiently well to obtain reliable grade information. 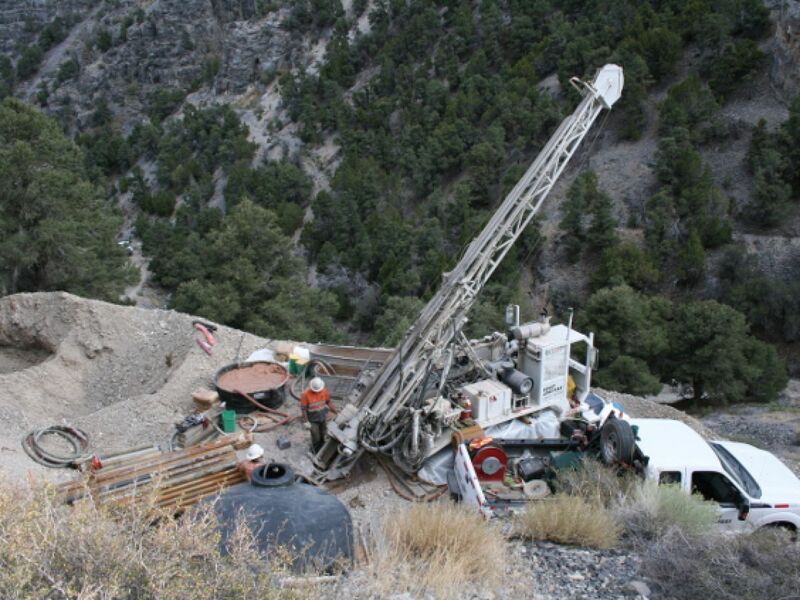 The results are considered to be highly encouraging and justify further drilling.